ActiSine cannot be overloaded. If the harmonic currents should exceed the value for which the filter is dimensioned, the system will limit its action to its nominal current, filtering the maximum possible amount of harmonics. ActiSine measures and eliminates harmonic currents in real-time by compensating them with equal and opposed currents. 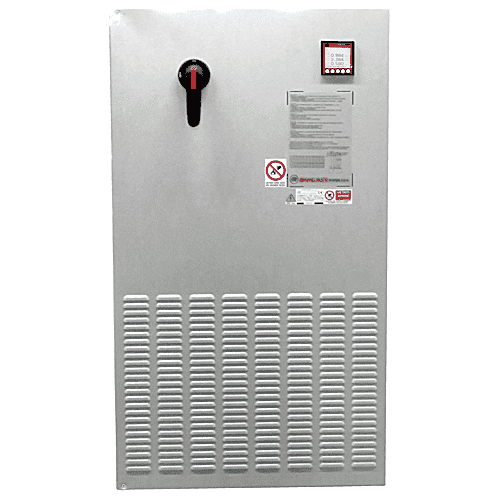 The installation is simple and flexible because ActiSine is connected in parallel to the loads to be filtered and the CTs for the current measurement can be mounted up or down-stream (closed or open loop control). The startup is immediate thanks to default and automatic settings. The user interface is simple and straightforward. 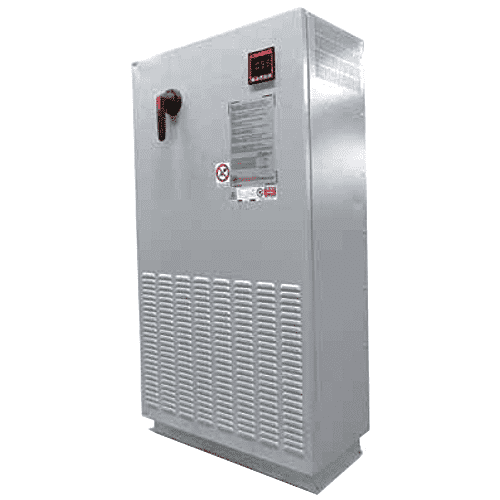 Power range, single and three-phase, up to 330 kVA. 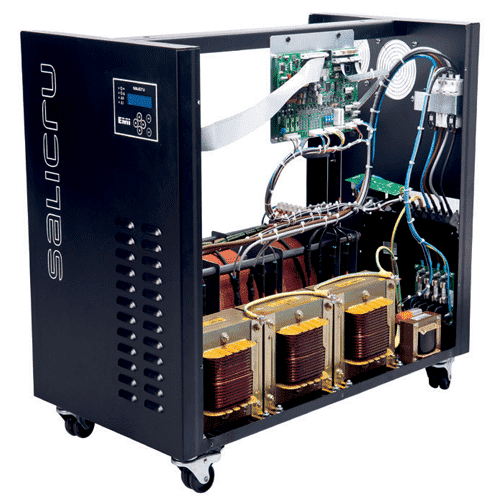 Fast and efficient toroidal autotransformers for the entire power range. Output accuracy better than 1% (adjustable). In three-phase units, common or independent regulation per phase, unaffected by imbalances. 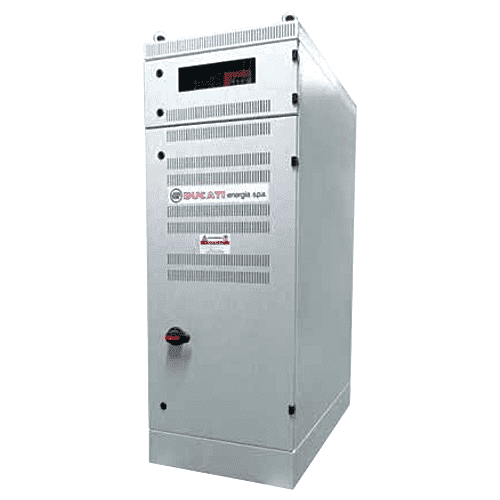 Power range, single and three-phase, up to 250 kVA. 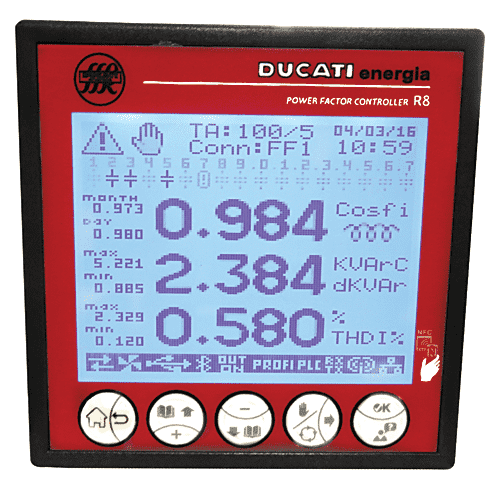 Ultra-fast regulation: reply speed under 100 ms.
Digital control and parameters setting independent per phase. 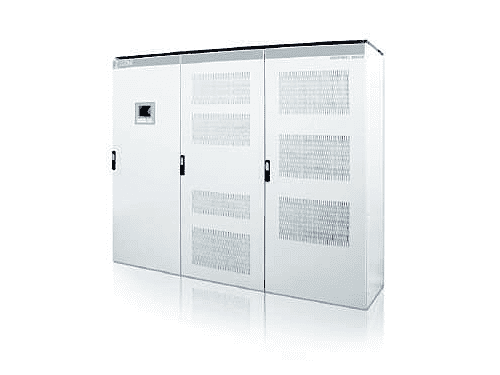 Entirely static structure, without moving elements, greater reliability. “Saving Contactors” logic for a more uniform and optimized usage of capacitors’ batteries. 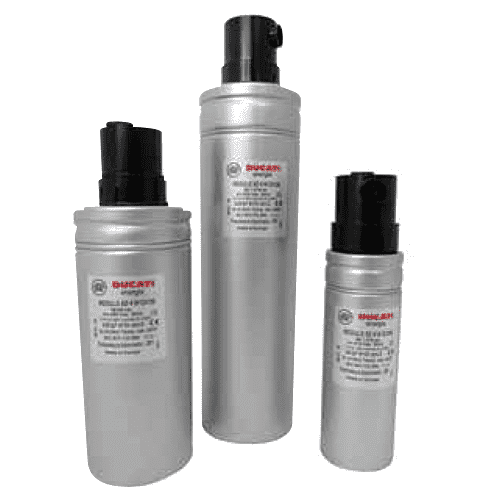 Eliminates voltage gaps of up to 50%. 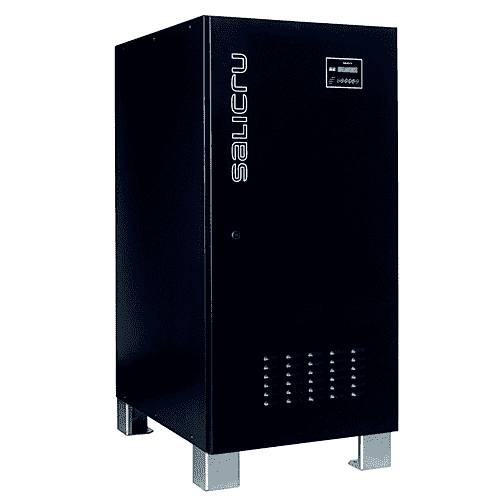 Does not require battery or other energy storage components. Compensation of depth and long disturbances times (up to 3 seg). Elimantes harmonics current from 2nd to 51st order. 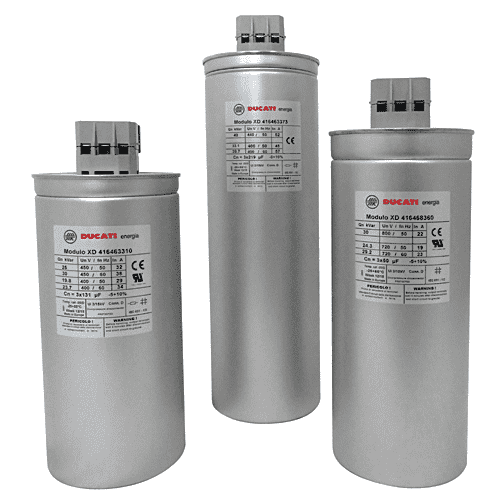 Programmable Harmonics Compensation and Power Factor Correction. High efficiency emergency supply system > 99%. Compatible with already installed protection systems. Capable of operating with regenerative loads (Breaker optional). Does not introduce harmonics into the installation (upstream).